Despite criticism about "The Bachelor's" failure to feature a minority in the title role, ABC has no plans to shake up the format in order to make that happen. In her first meeting with reporters at the semiannual TV Critics Association tour, ABC Entertainment president Channing Dungey said she would like to see a minority "Bachelor" or "Bachelorette" but didn't want to alter the formula, in which the runner-up headlines the reality franchise's next edition. Instead, she suggested, the show would try to "increase the pool of diverse candidates in the beginning." Dungey added later that the audience is "incredible passionate and invested in the show," so the goal would be to bring about change without breaking the pattern of having one cycle lead into the next. 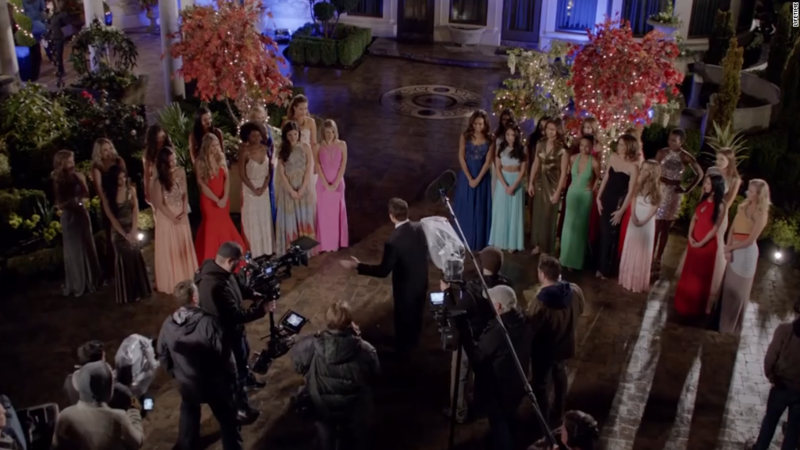 The racial aspect of "The Bachelor" has provided the foundation of the current season of "UnREAL," the Lifetime series co-created by Sarah Gertrude Shapiro, a former producer on the show. That drama, which will air its season finale Monday, has featured an African-American bachelor in the current story line, exploring some of the complications that unleashes. Asked about the Lifetime show, Dungey said, "I enjoy watching it as a viewer." Dungey, who was promoted in February, is the first African-American woman to head one of the major network entertainment divisions. She said continuing to showcase diverse talent is a priority, and the network has generally received high marks in that regard, with shows such as "Black-ish," "Fresh Off the Boat" and "How to Get Away With Murder." On other fronts, Dungey addressed anticipated plans for synergy between Disney-owned properties and the network, saying ABC has had conversations with Lucasfilm about a potential "Star Wars"-themed TV series, without providing any details. Dungey noted that while Marvel is famously secretive about its projects, Lucasfilm "takes it to a whole new level." Lucasfilm already produces an animated show, "Star Wars Rebels," for Disney XD, the studio's boy-oriented cable network. Dungey also spoke of being eager to expand ABC's relationship with Marvel, which has been stripped down to a single franchise, "Marvel's Agents of SHIELD." ABC canceled "Agent Carter" in May and passed on a Marvel pilot that was a candidate for the coming season. In fact, Marvel is doing far more TV business now with Netflix, which is the home to a spate of series under its branded banner, including "Daredevil," "Jessica Jones," and the upcoming "Luke Cage" and "Iron Fist."